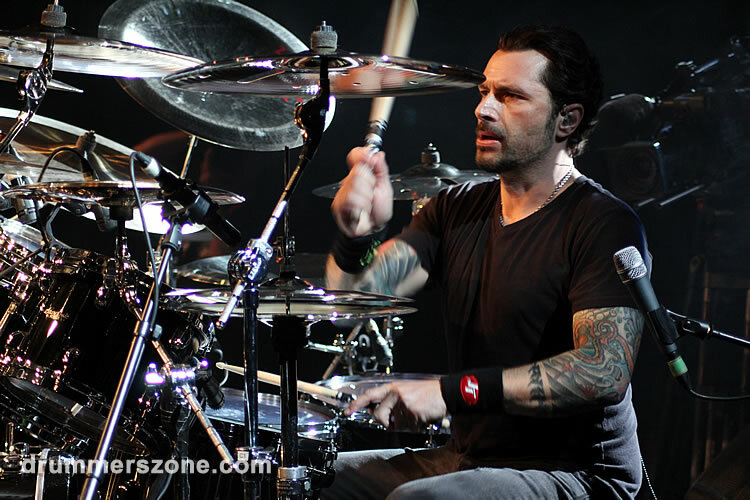 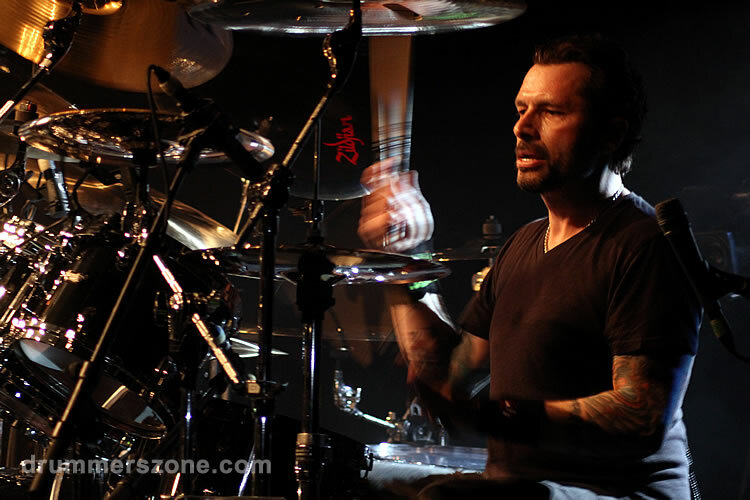 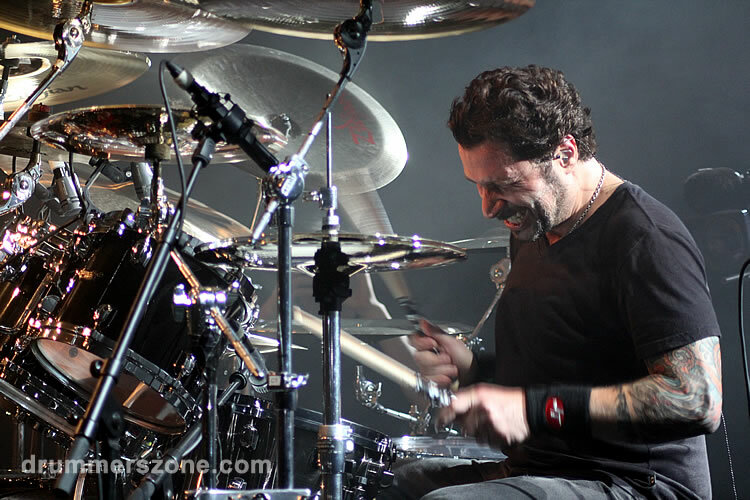 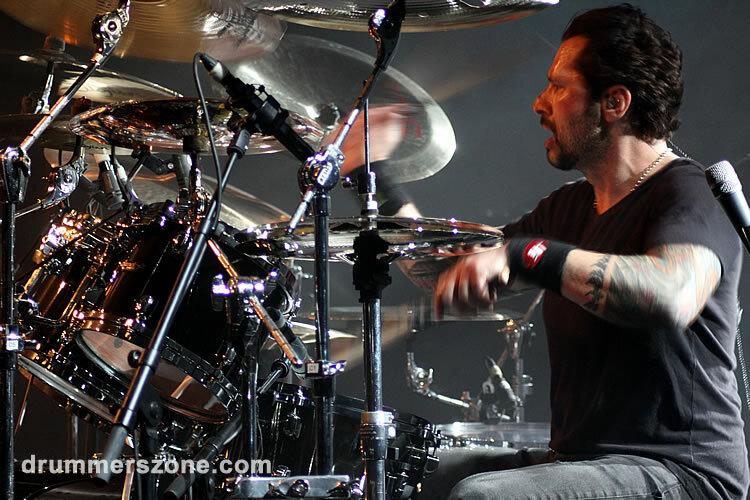 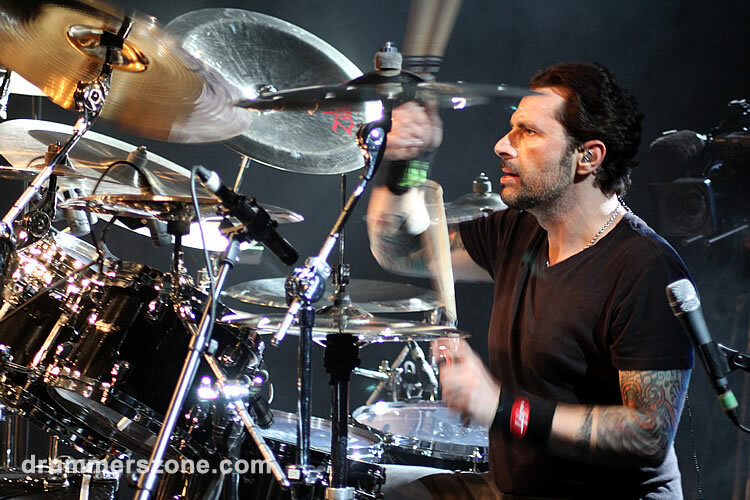 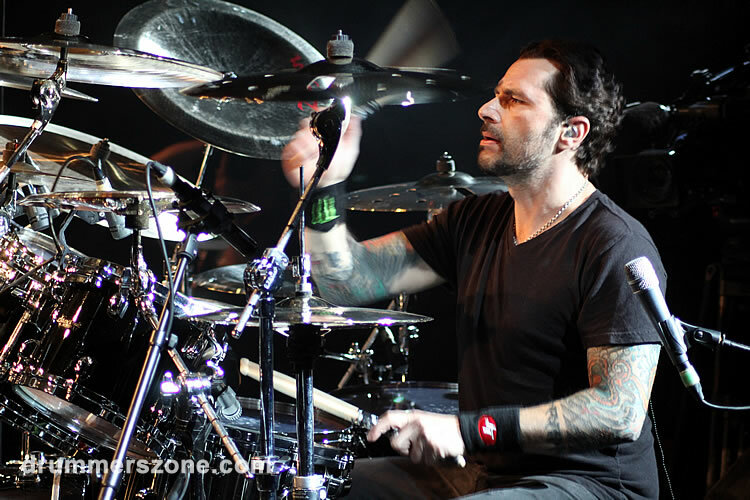 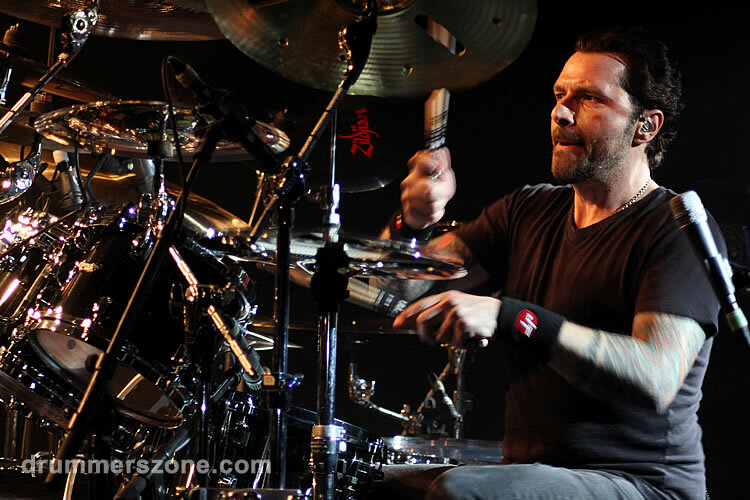 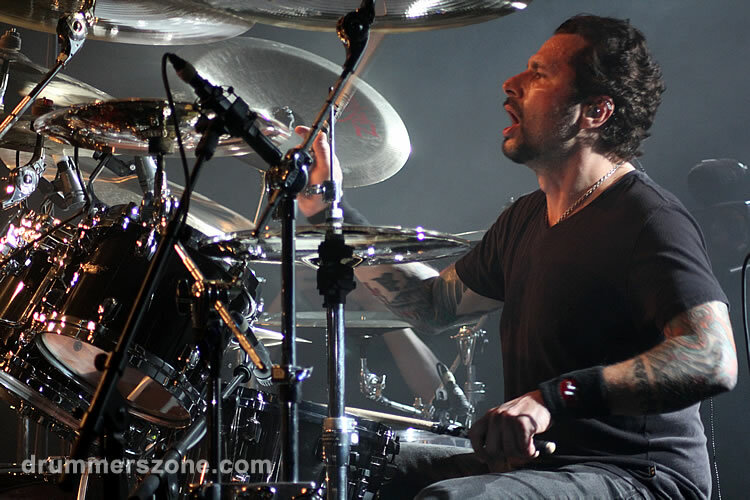 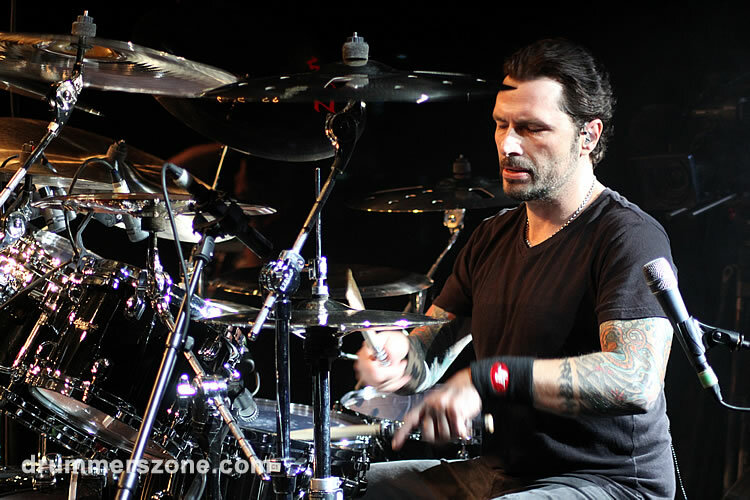 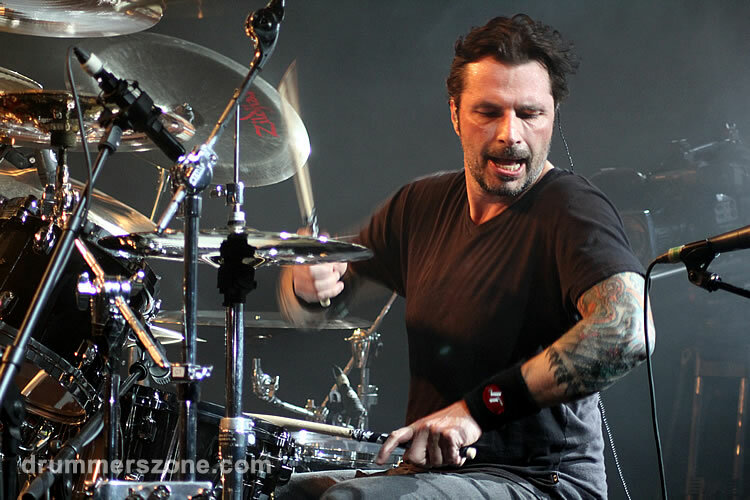 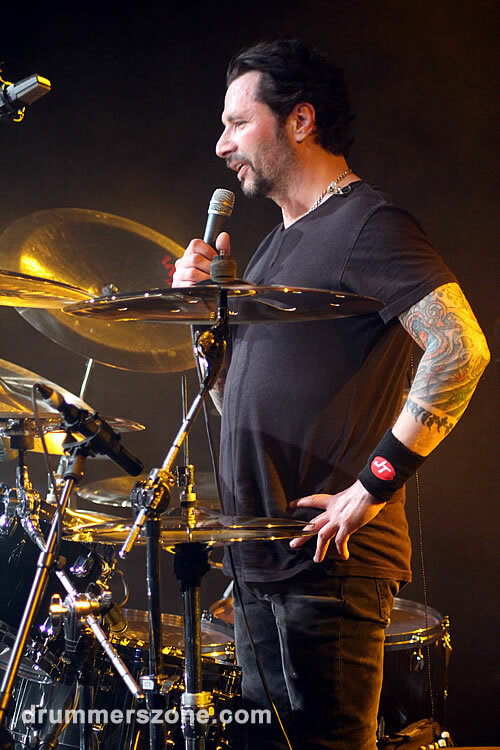 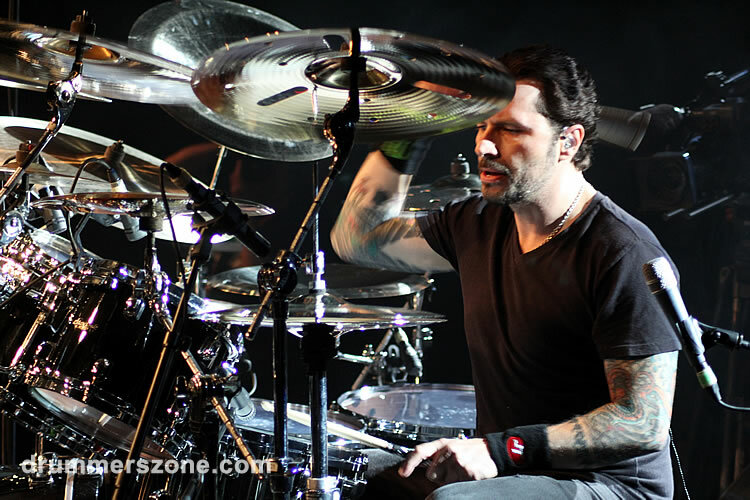 John Tempesta (The Cult) performing at the 23rd edition of the Adams Drummers Festival on April 14, 2013. 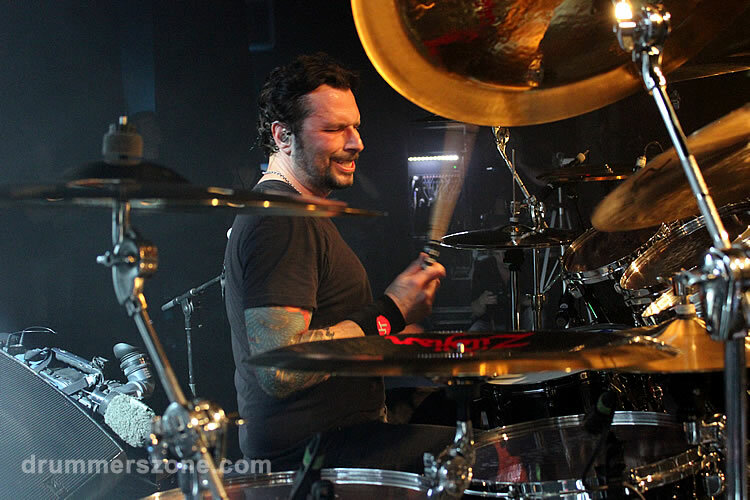 John Tempesta was born August 19, 1964 in Bronx, New York. 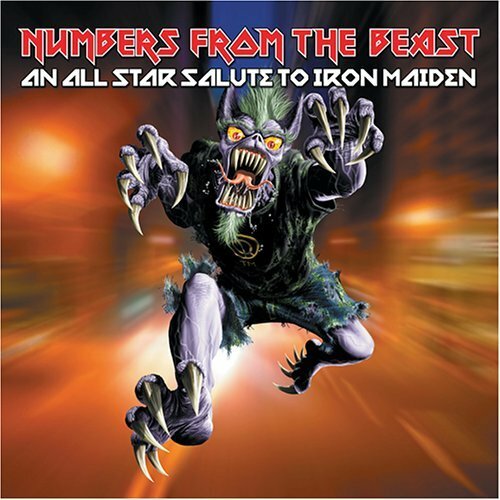 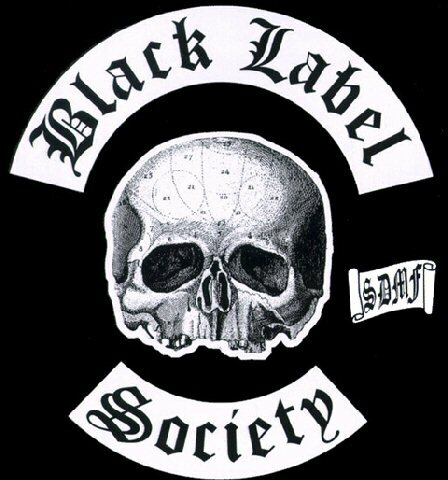 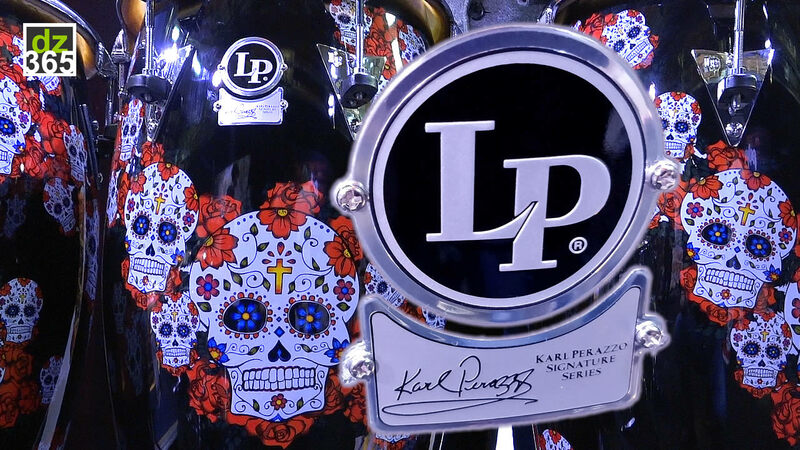 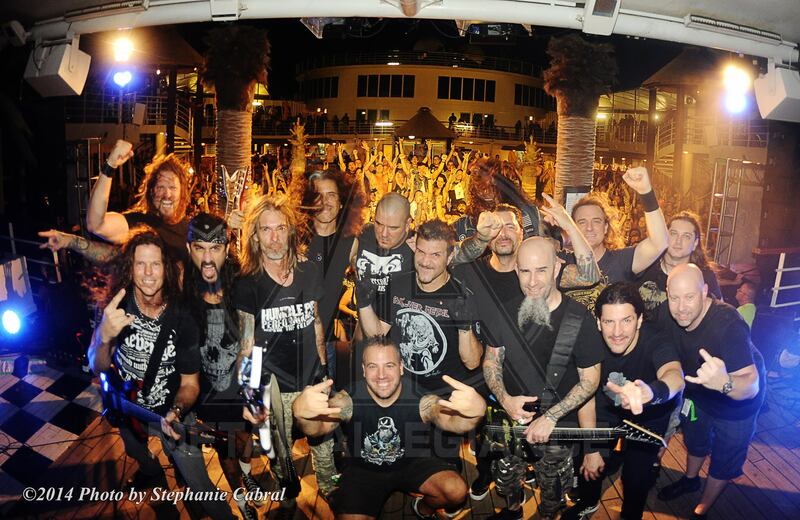 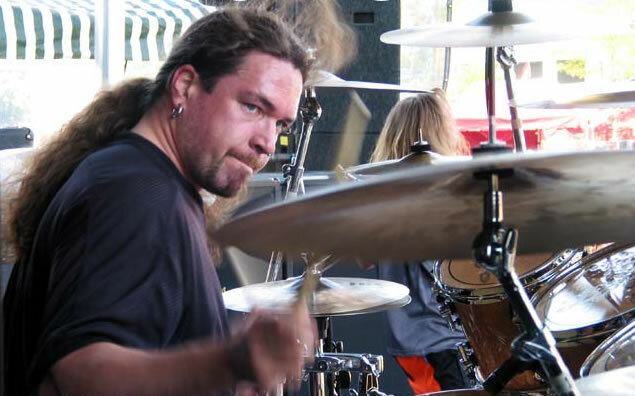 Previously he played in thrash metal legend Exodus, Testament, White Zombie and Helmet. 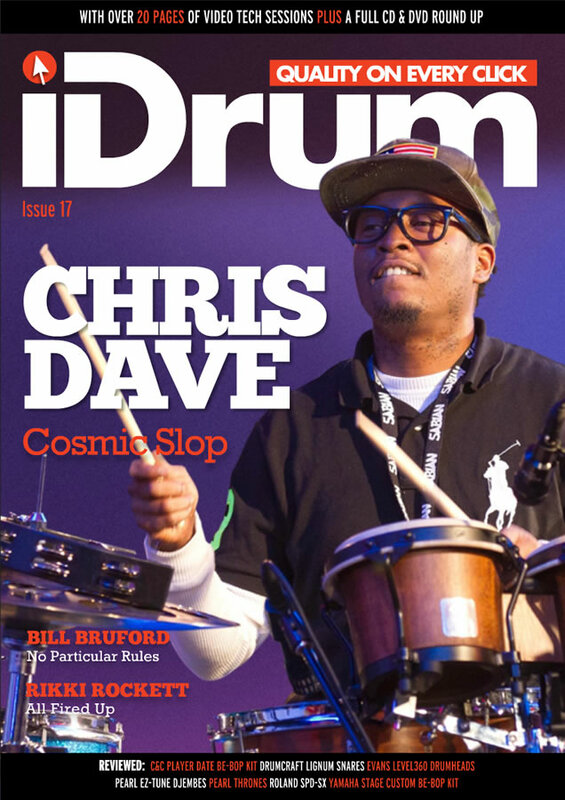 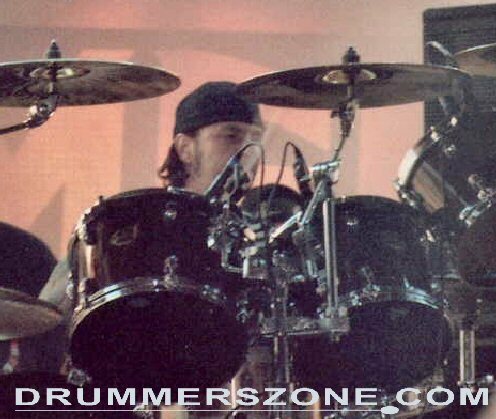 He replaced Tim Mallare in D.R.I. 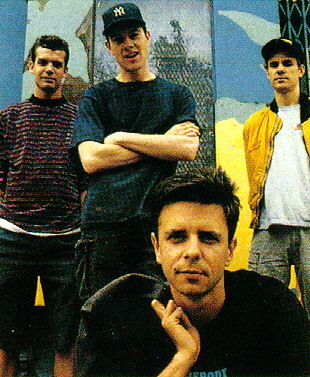 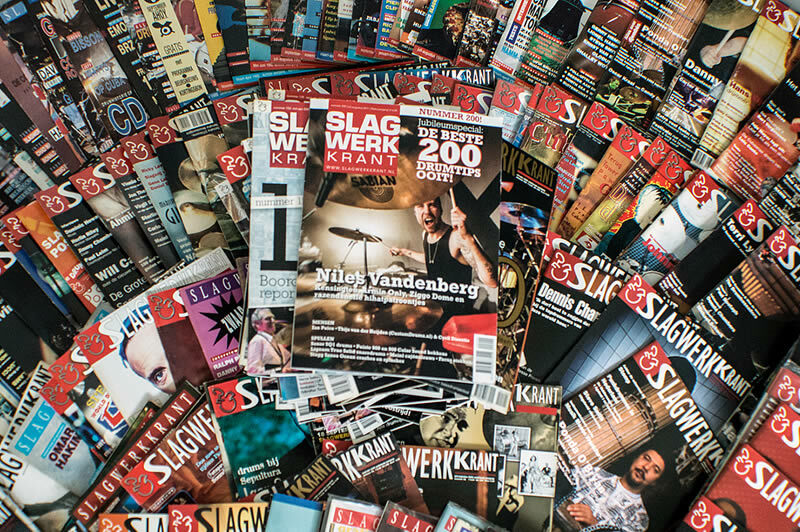 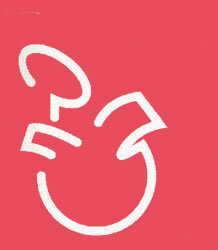 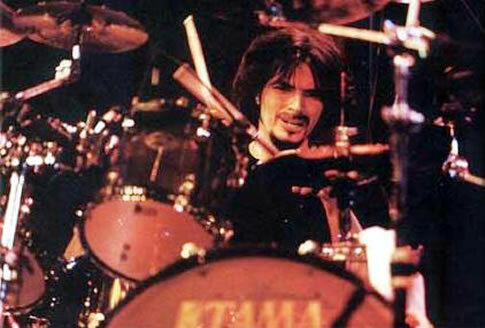 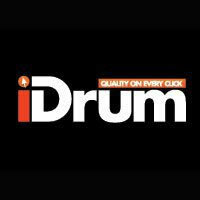 in 1991 for a couple of months, to be replace by Rob Rampy. 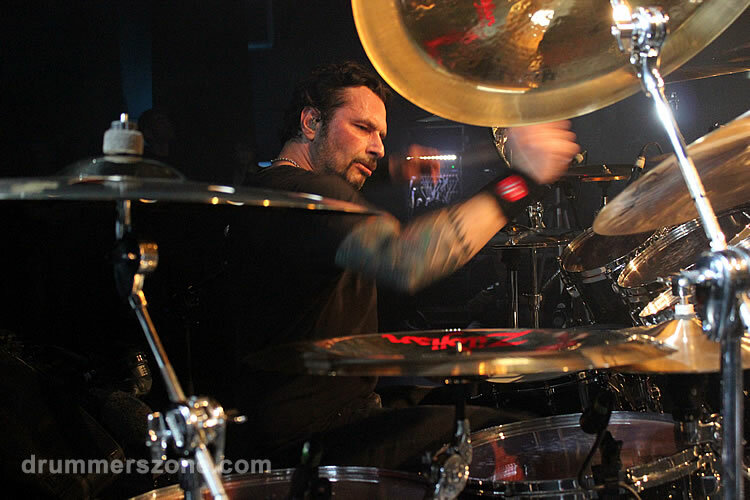 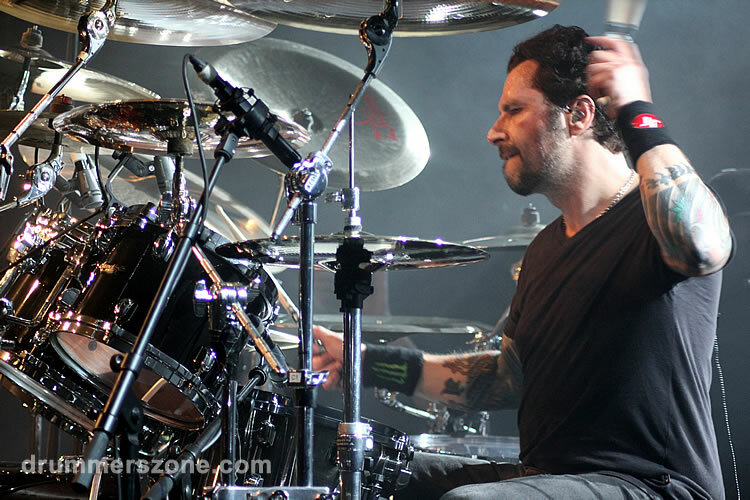 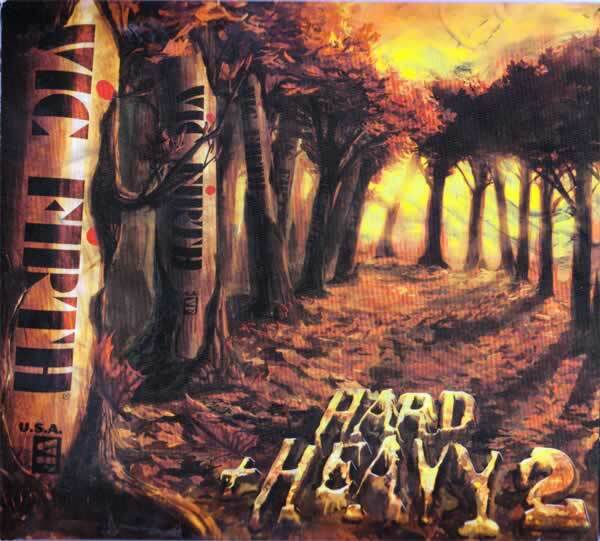 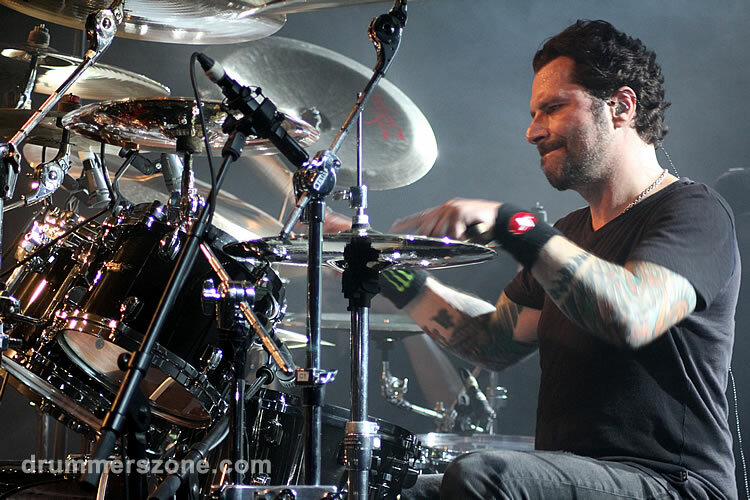 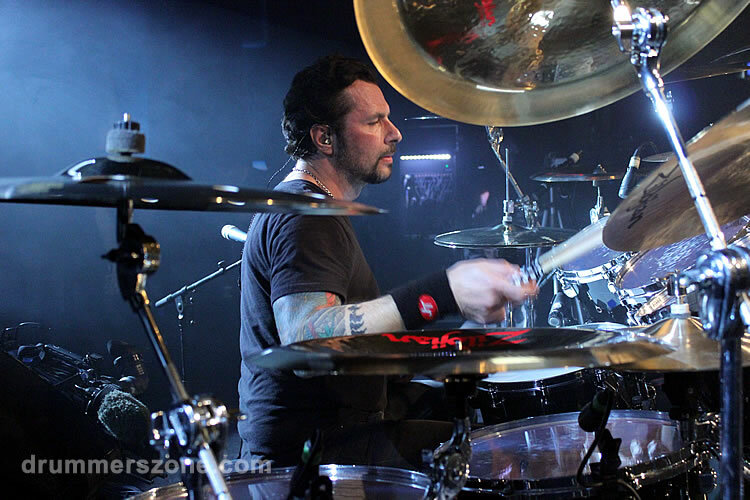 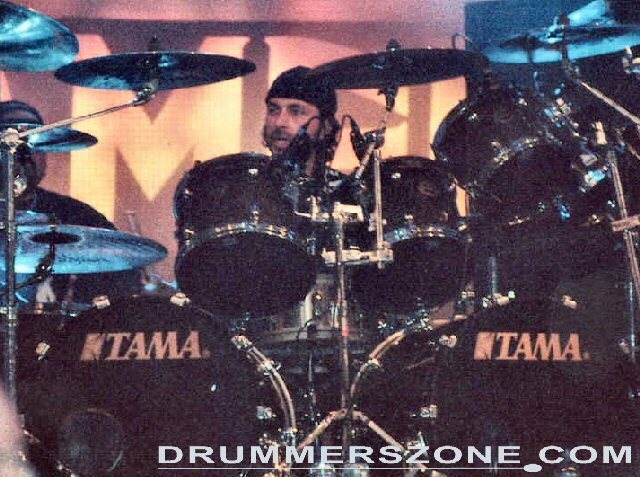 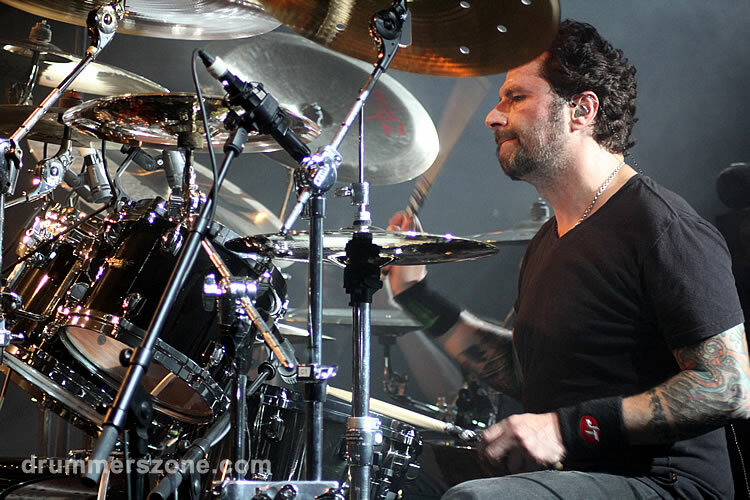 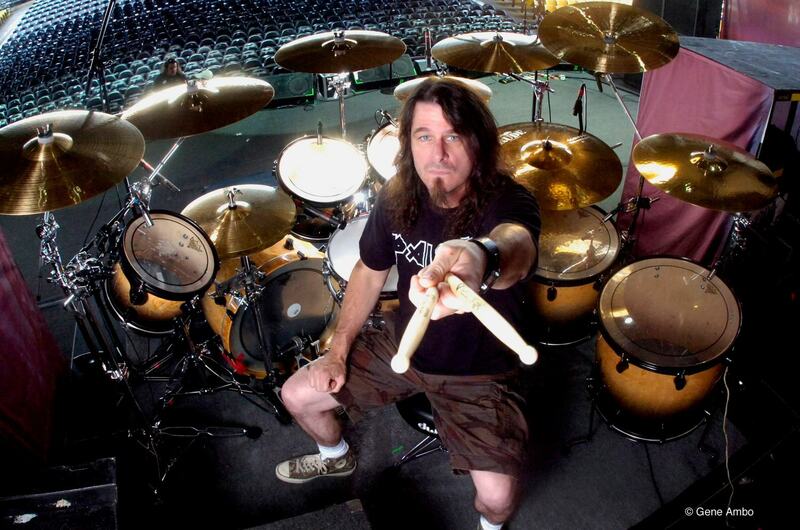 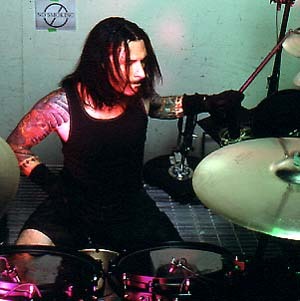 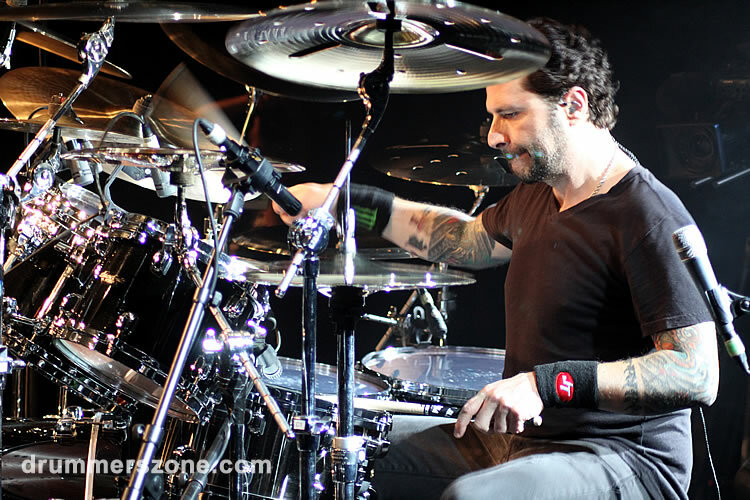 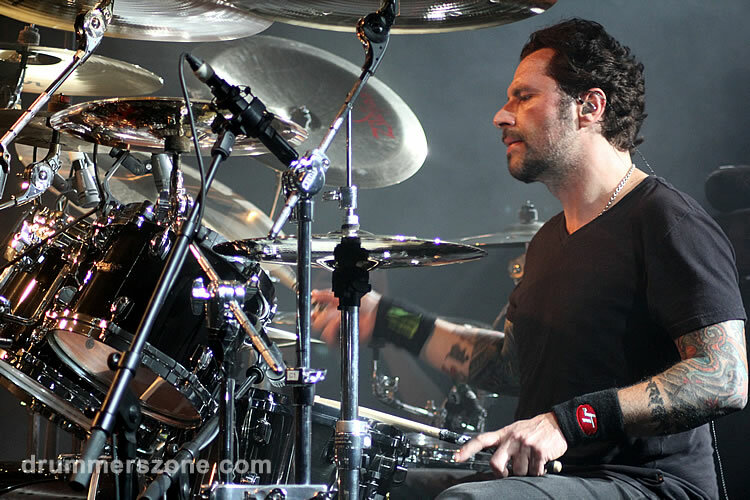 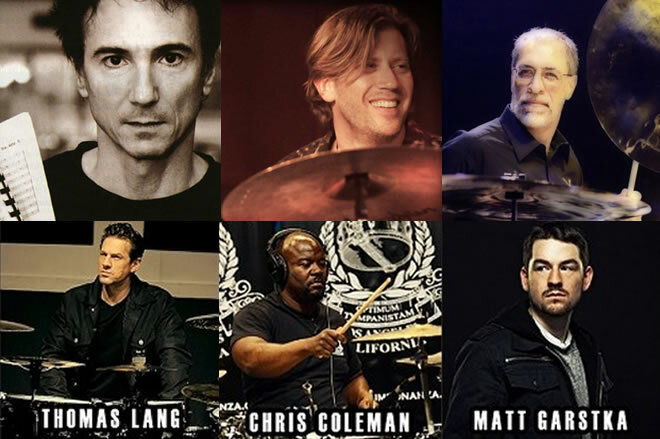 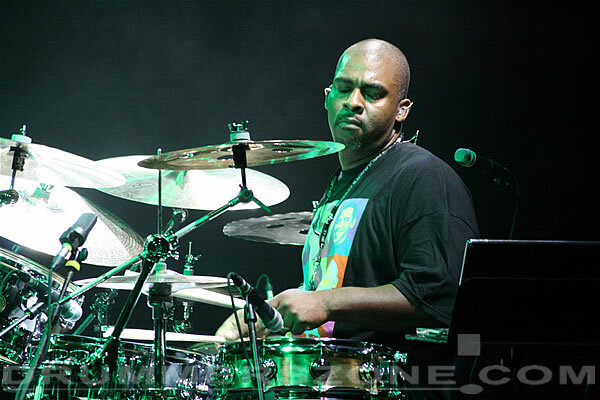 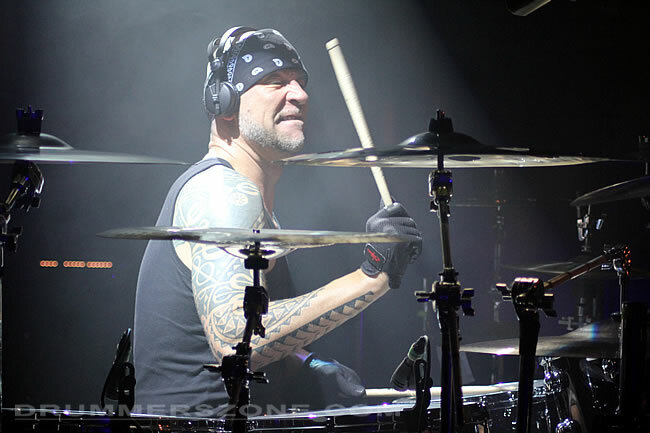 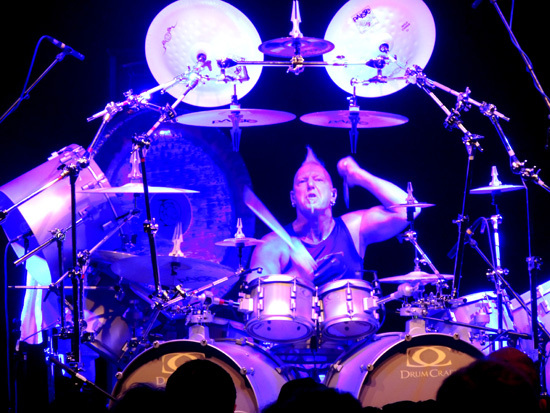 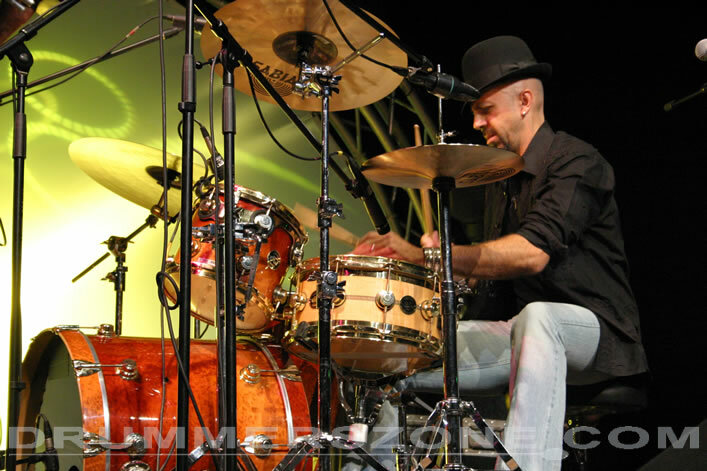 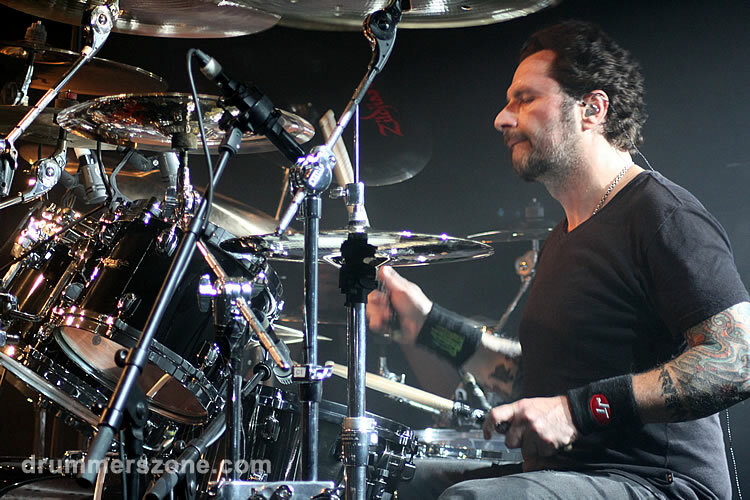 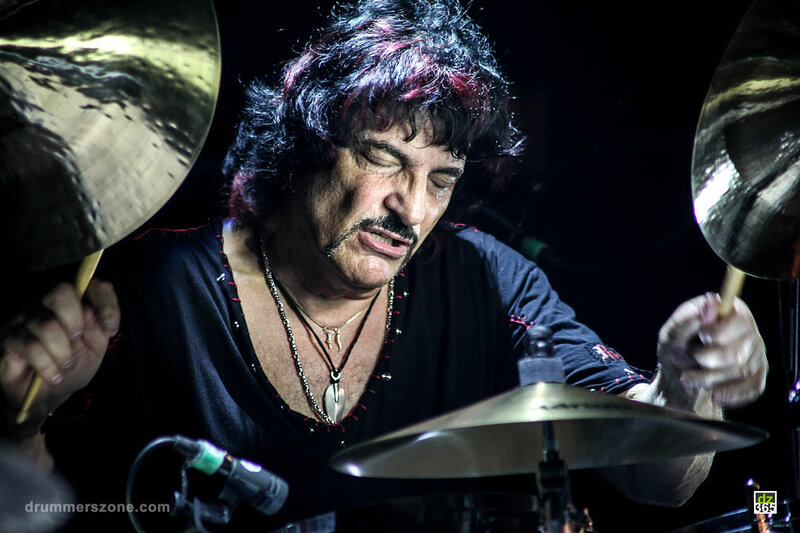 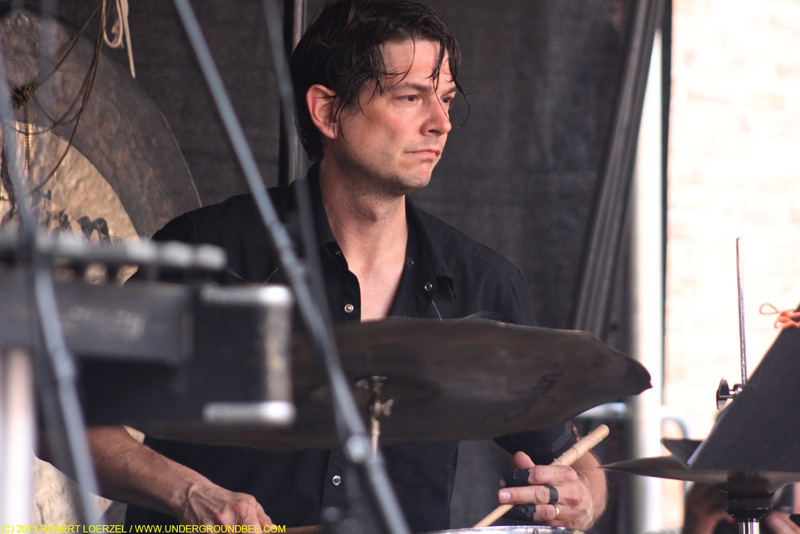 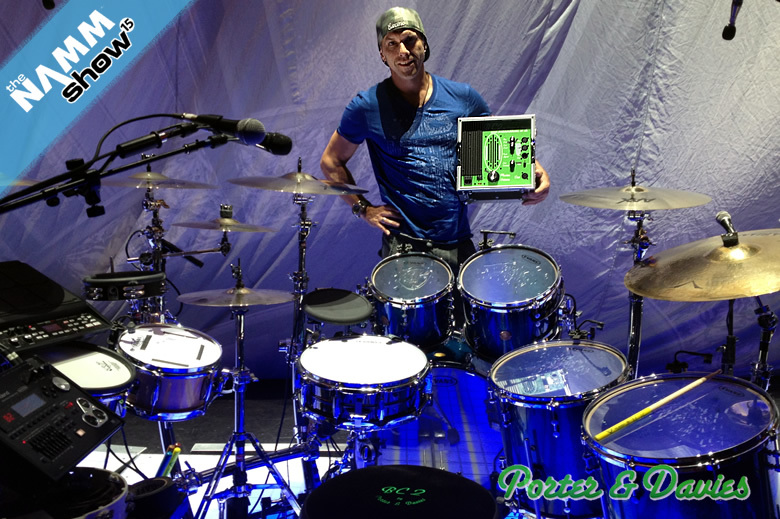 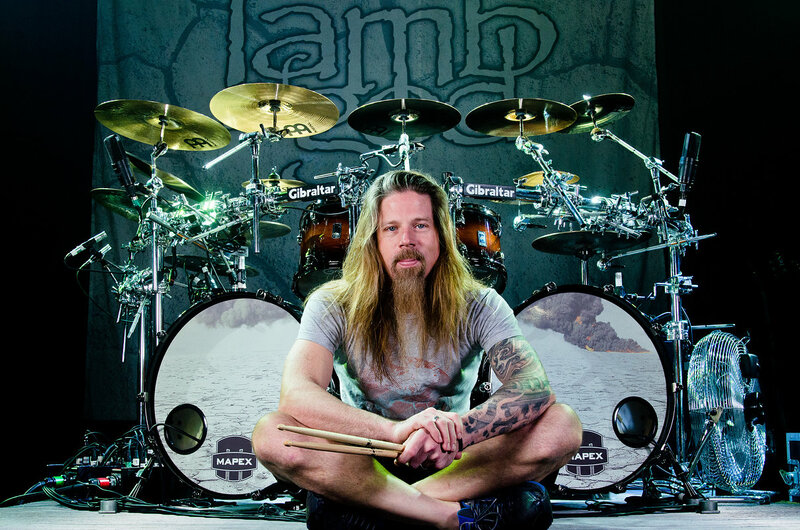 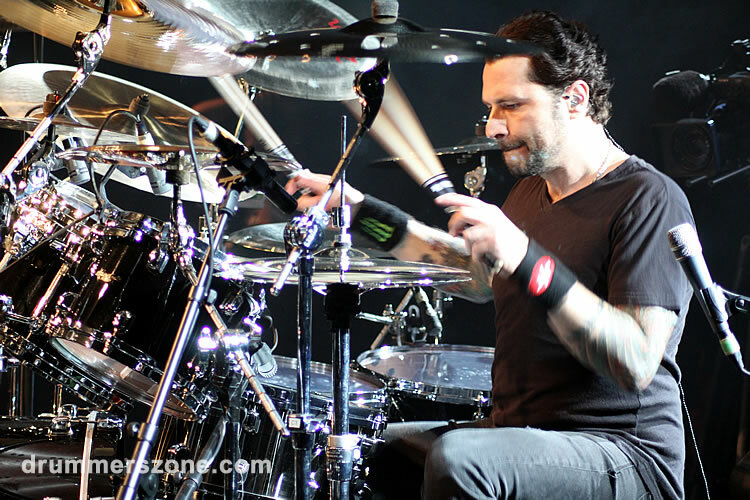 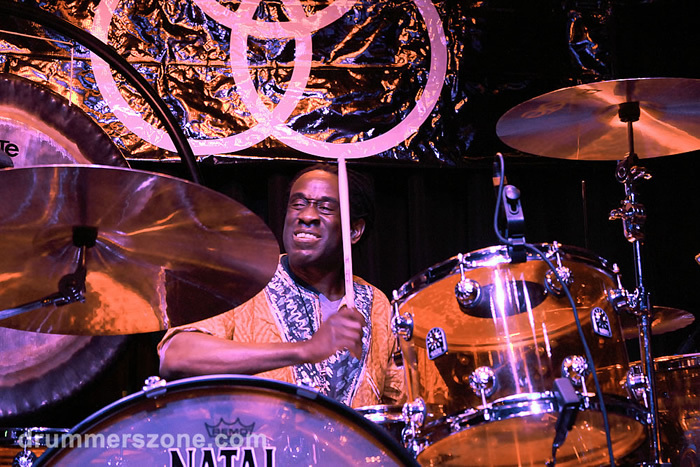 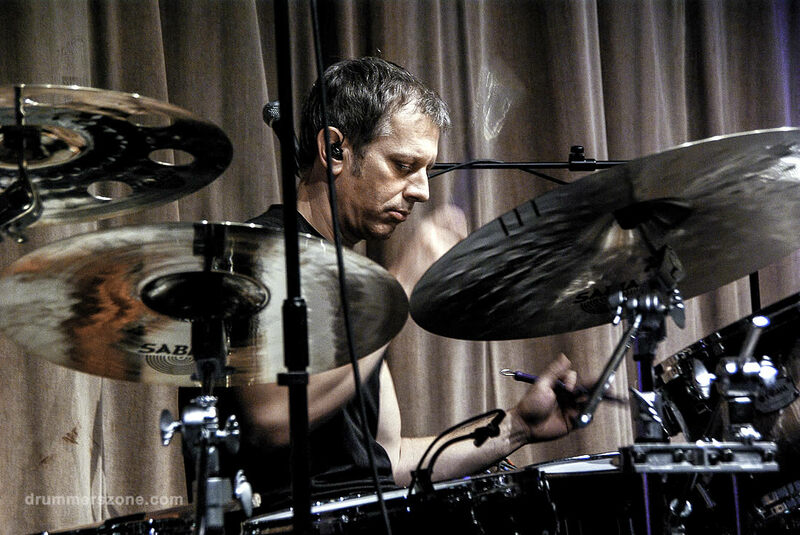 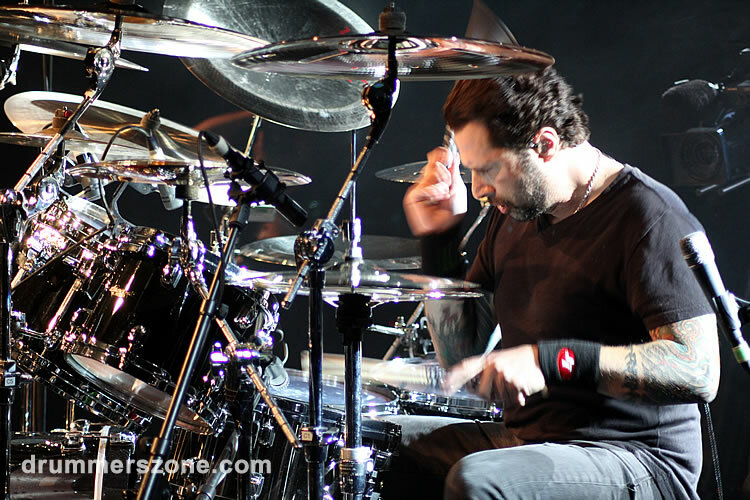 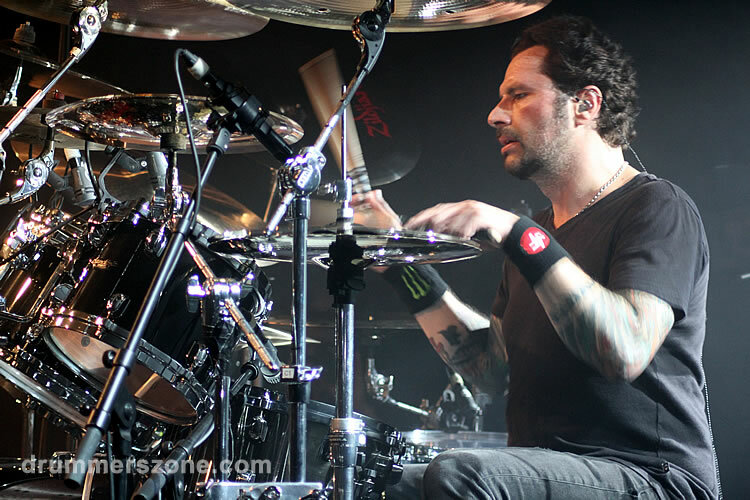 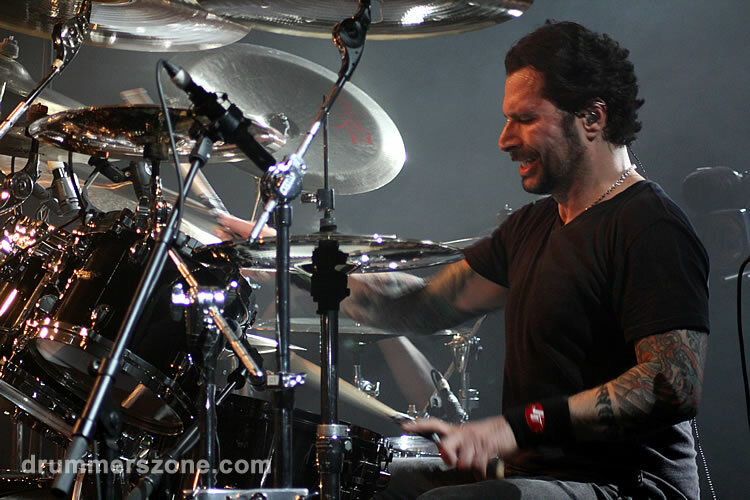 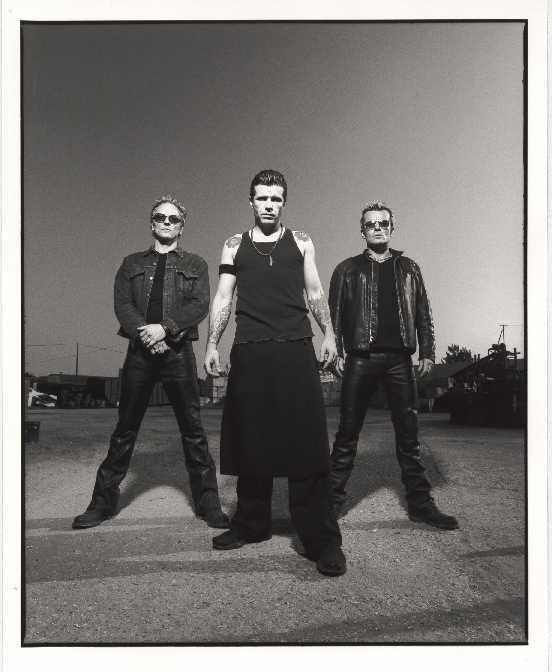 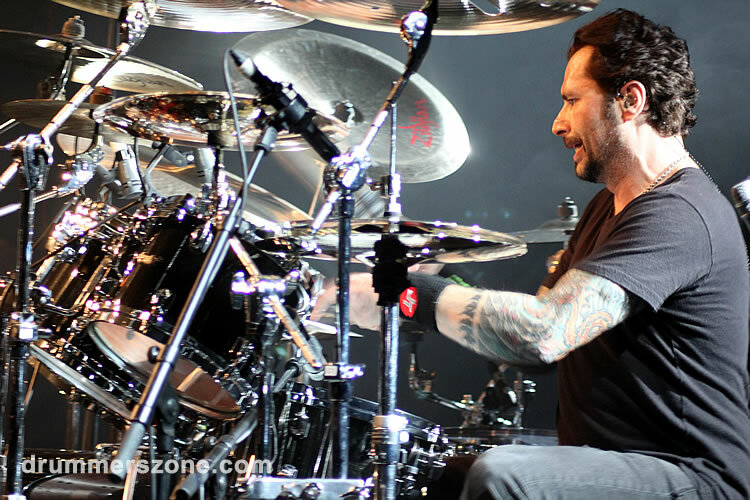 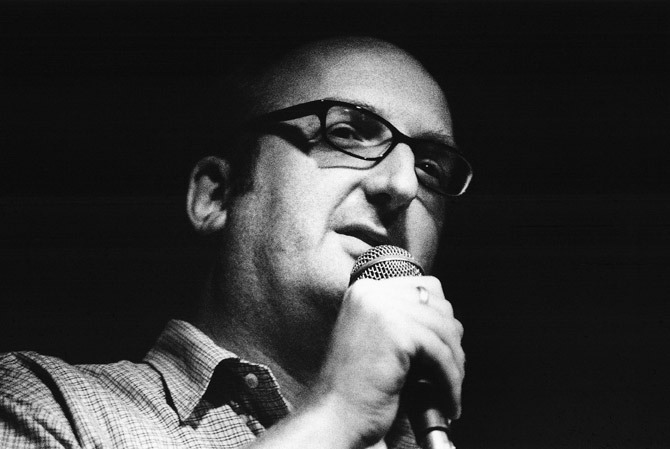 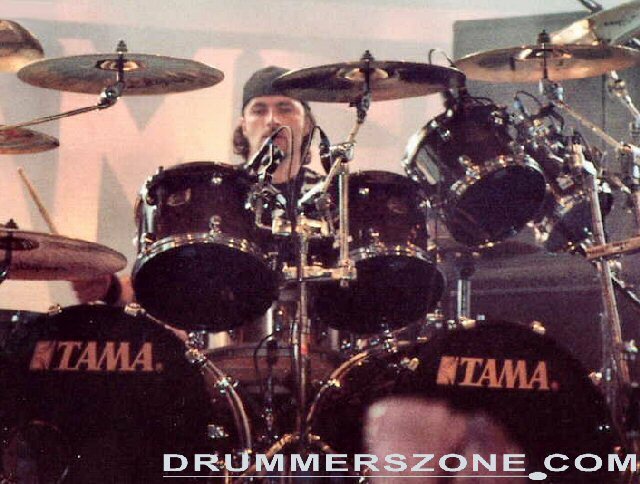 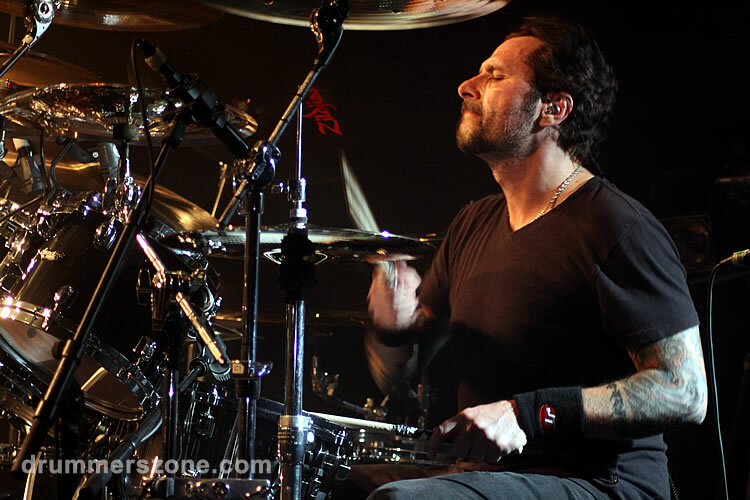 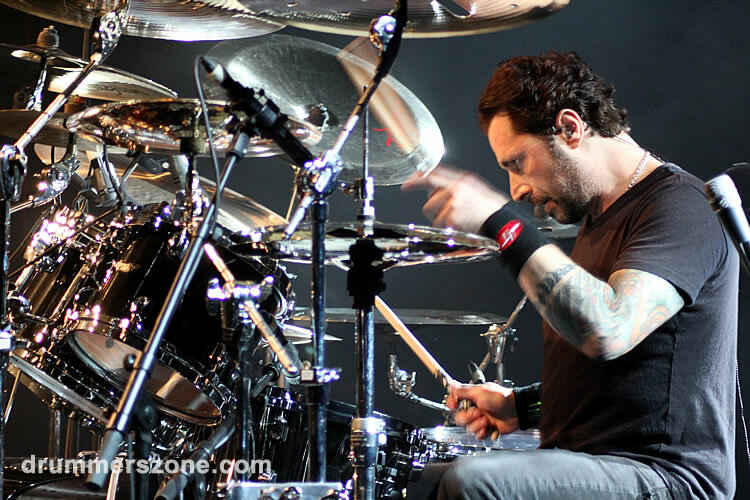 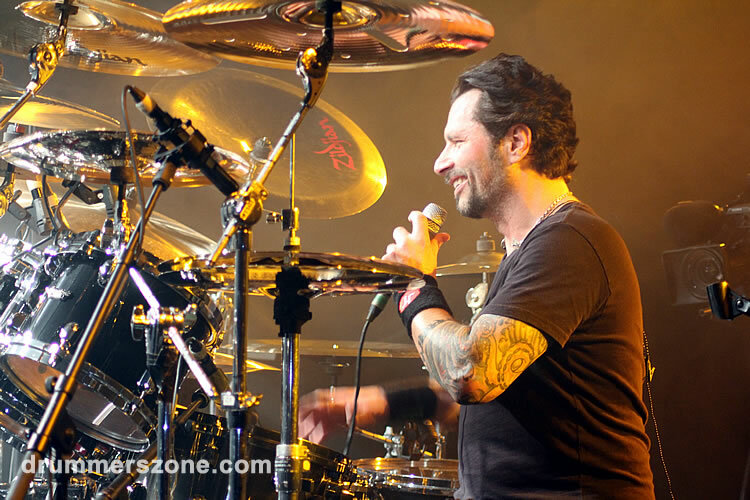 Early in his career John gained crucial experience on the road and in the studio as drum tech for Anthrax�s Charlie Benante. 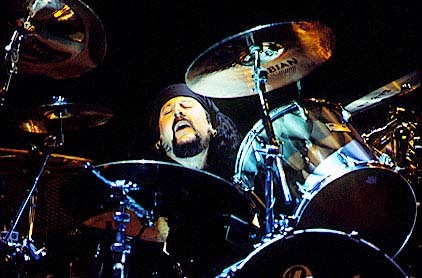 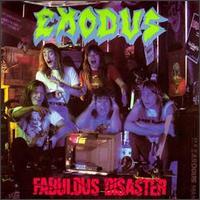 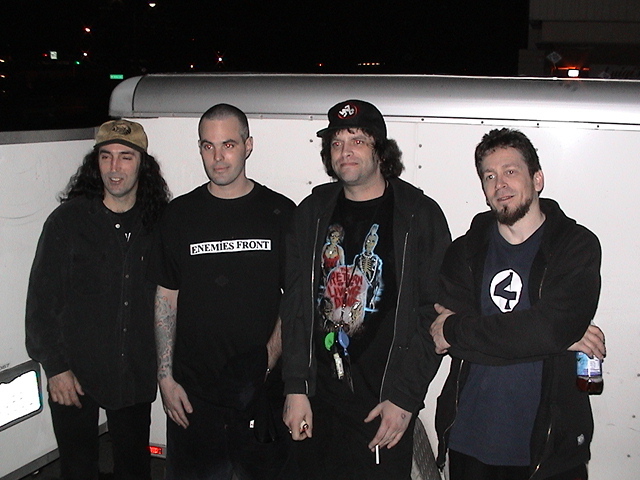 In 1989, after four years with Anthrax, Tempesta moved behind the drum throne of Bay Area thrash metal stalwarts Exodus. 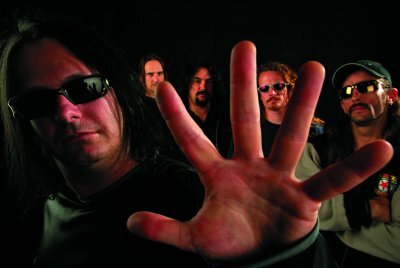 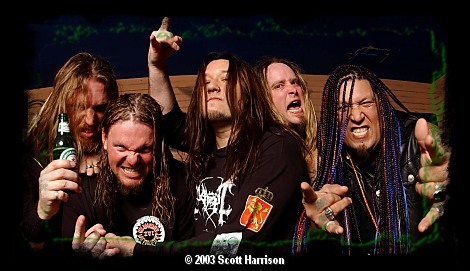 After recording three albums with Exodus, Tempesta joined cross-town rivals Testament. 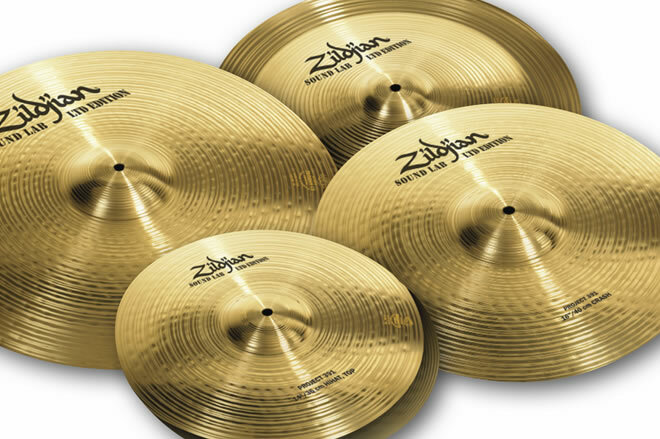 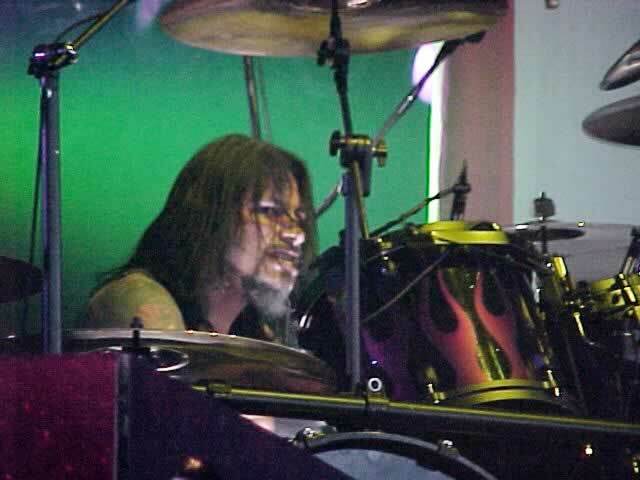 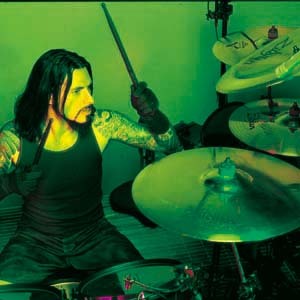 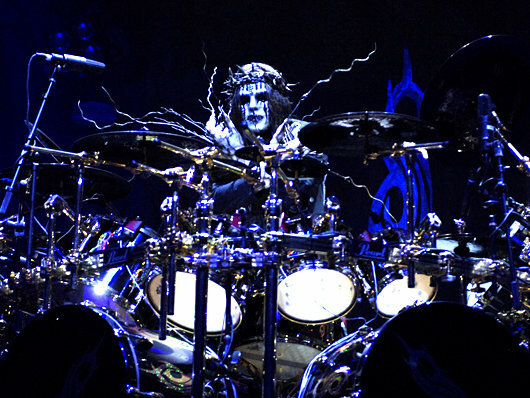 More recently Tempesta was the drumming driving force behind Rob Zombie. 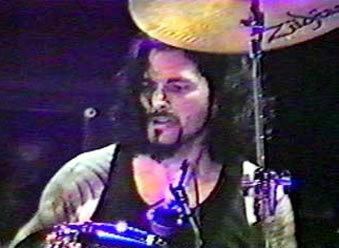 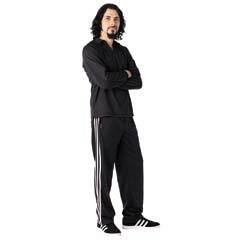 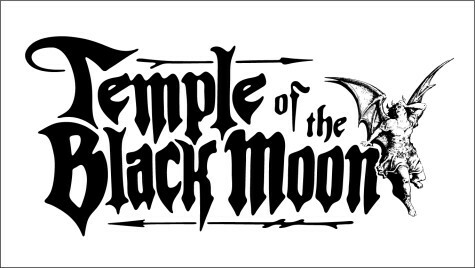 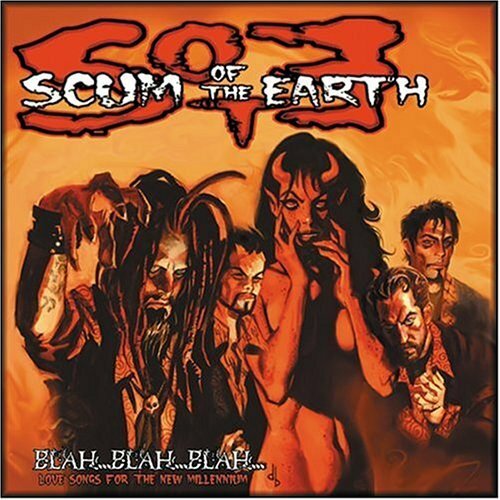 He is the only member left from the horror-rock master�s previous incarnation, White Zombie. 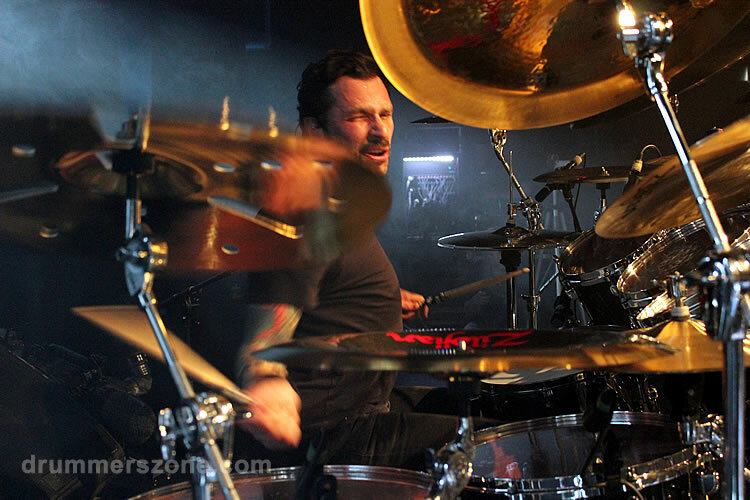 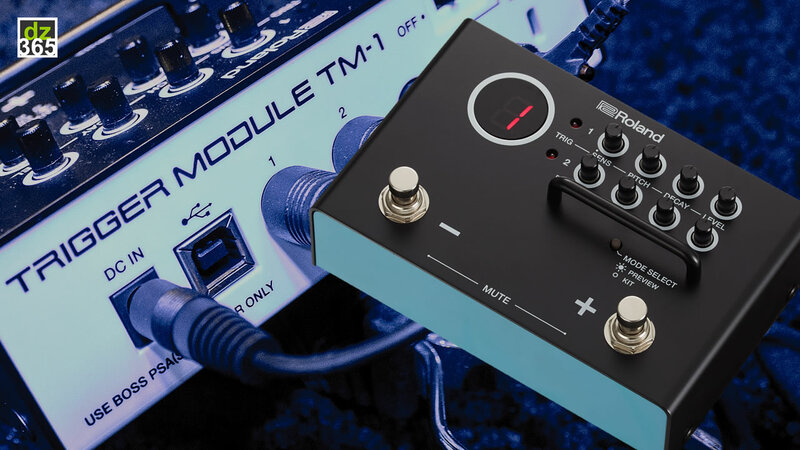 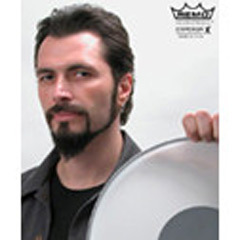 John Tempesta�s ability to combine blazing heavy-rock chops with modern electronic loops and programs makes him the perfect foundation for Zombie�s signature hard-edged electronic Rock. 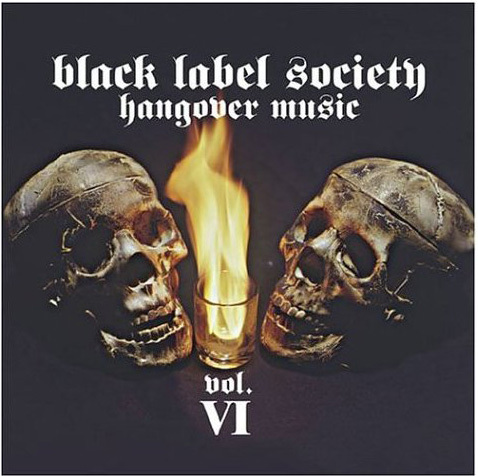 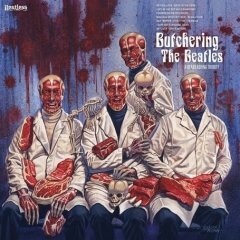 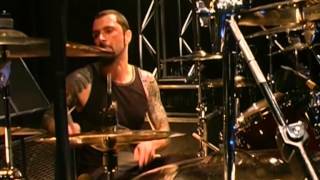 Rob Zombie�s hugely successful �Hellbilly Deluxe� CD features an amazing array of rock solid grooves courtesy of Mr Tempesta, but the subsequent tours have really been the best showcase for John�s formidable skills. 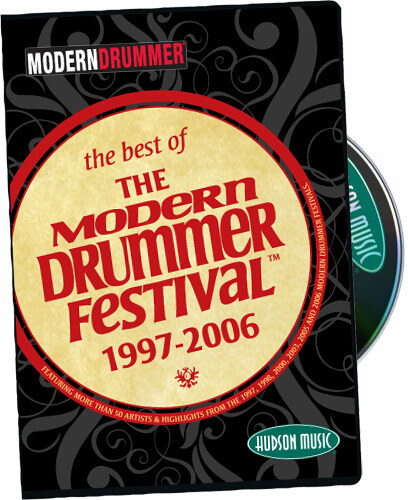 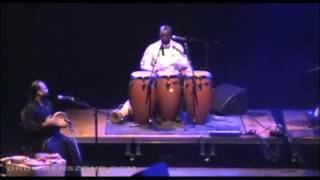 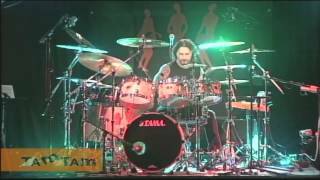 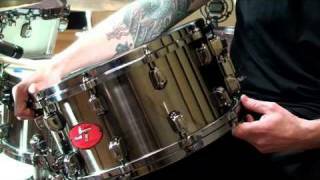 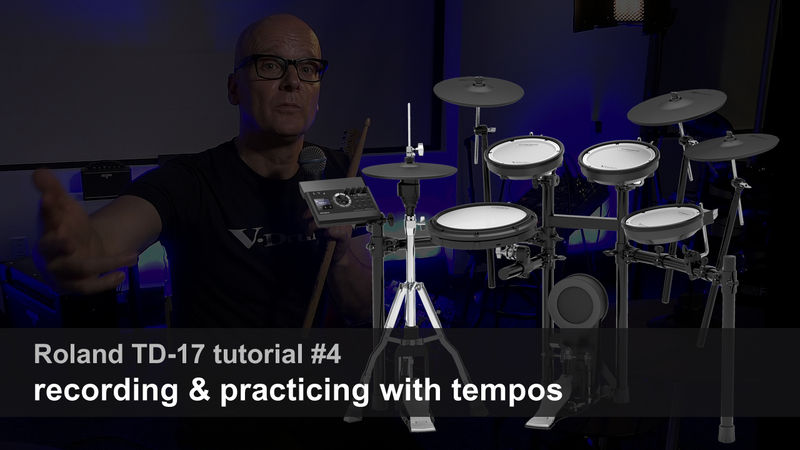 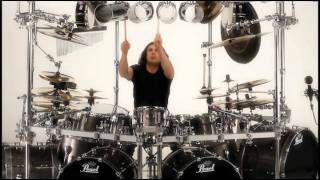 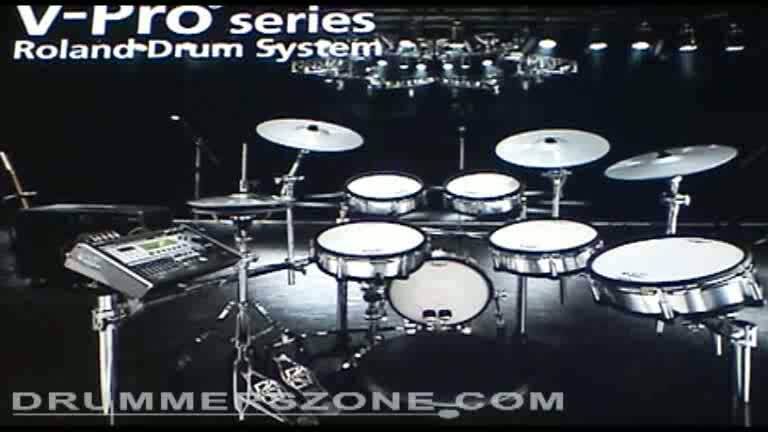 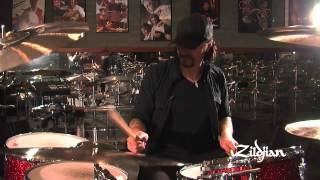 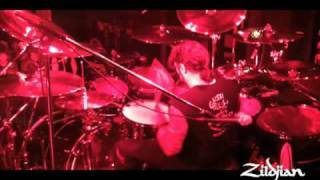 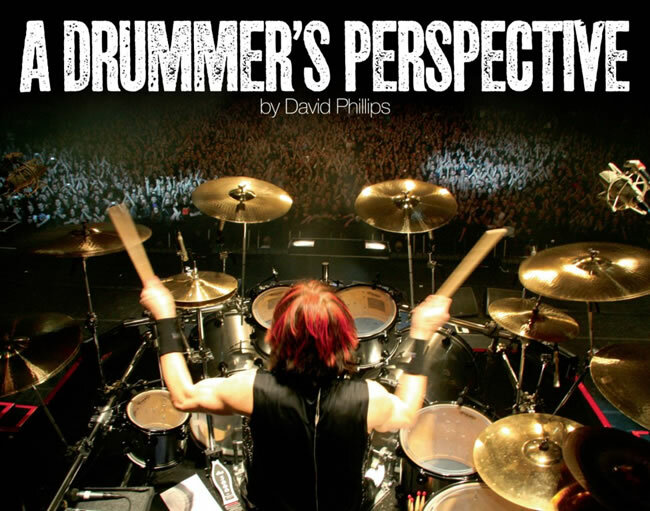 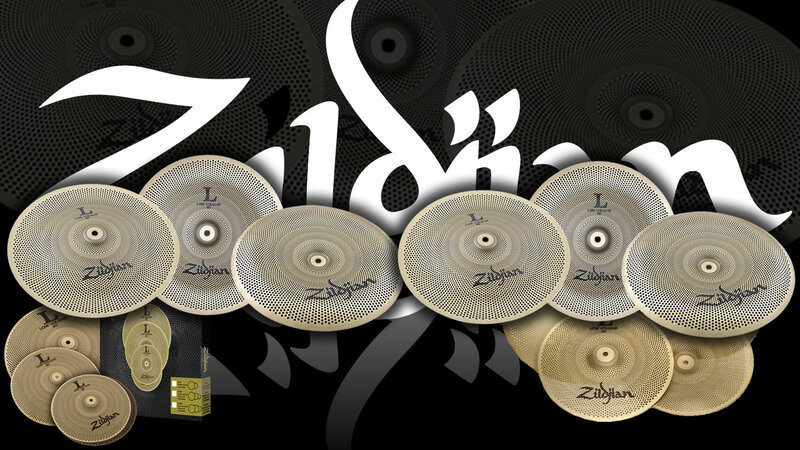 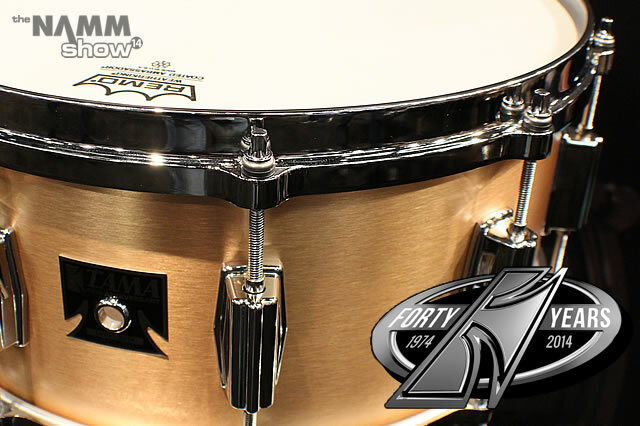 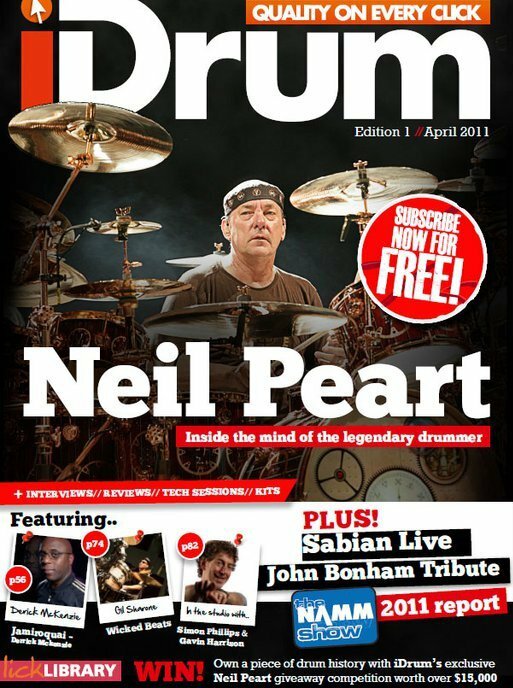 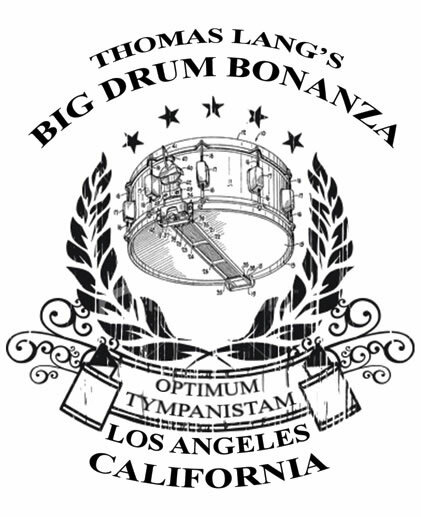 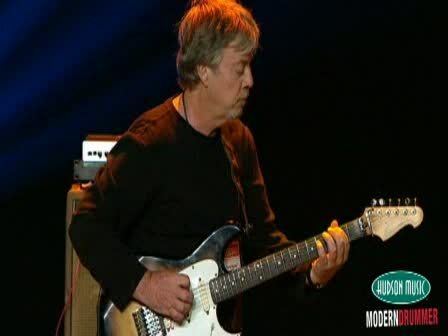 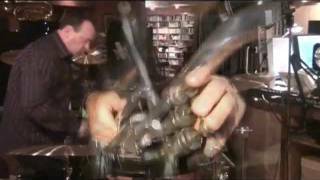 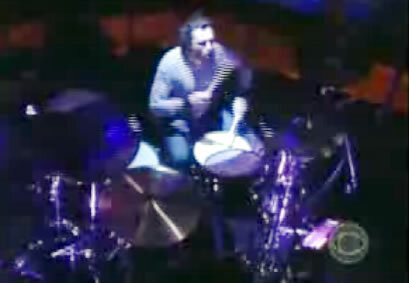 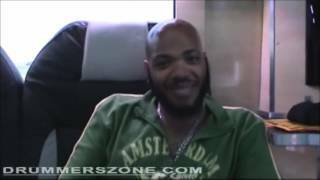 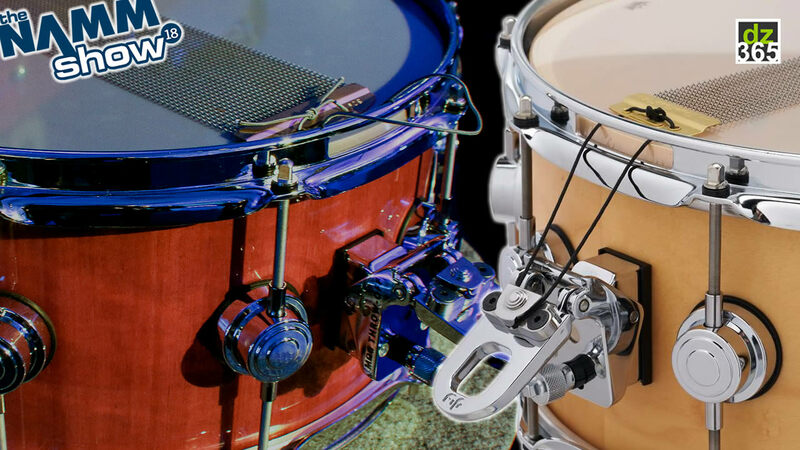 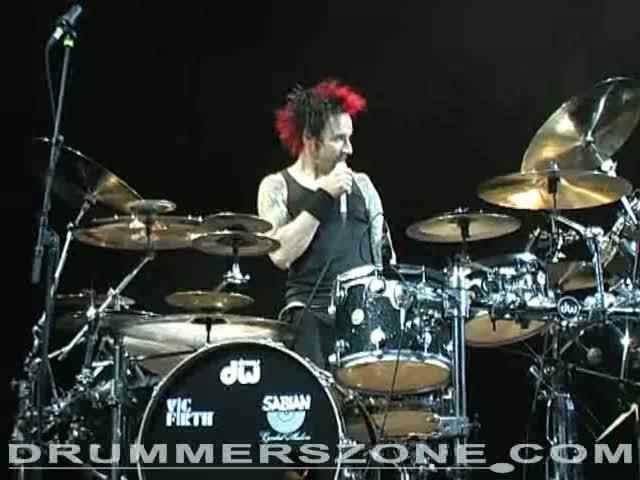 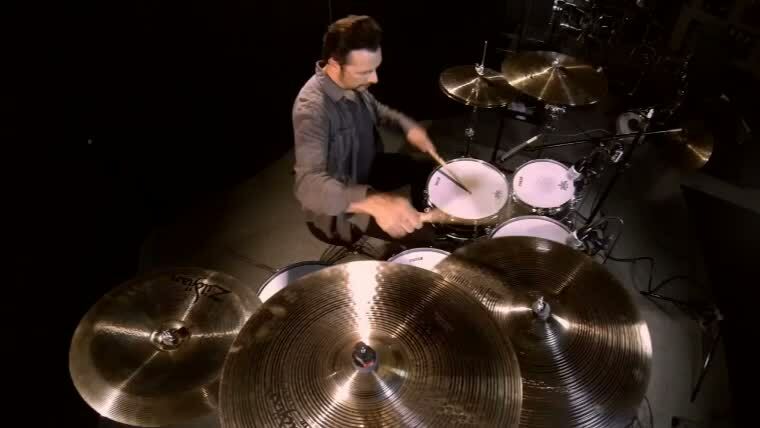 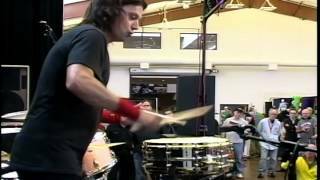 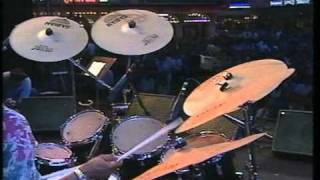 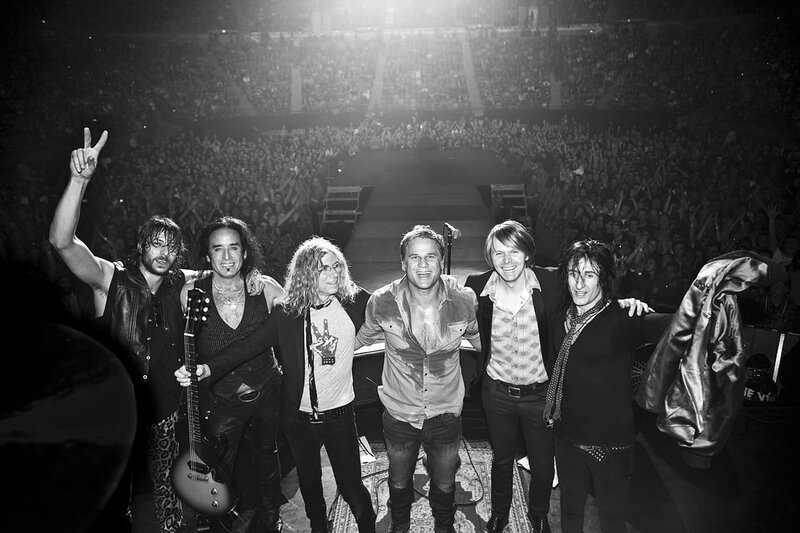 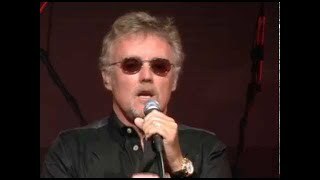 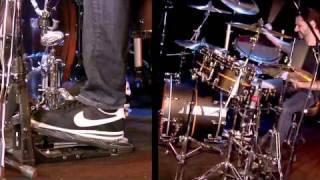 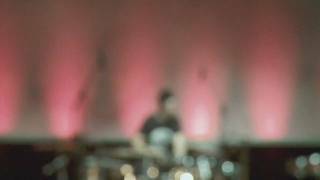 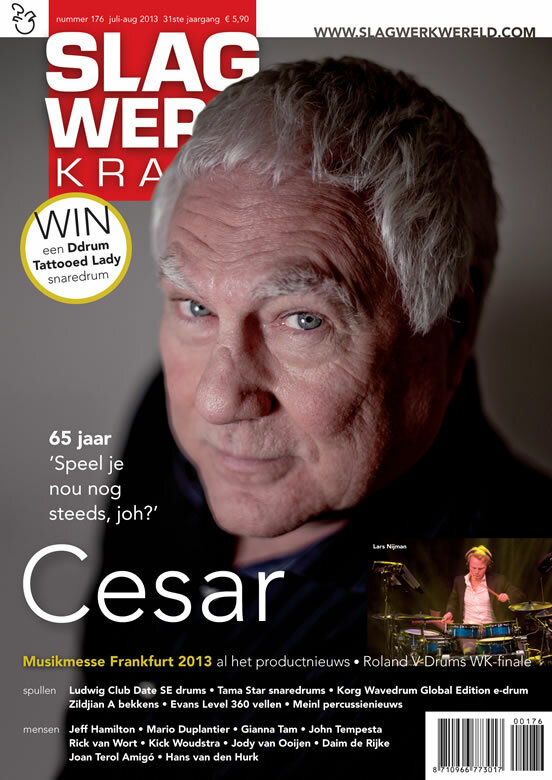 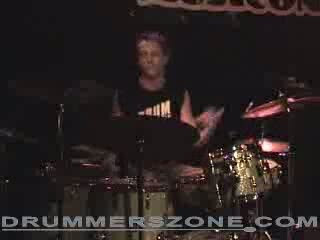 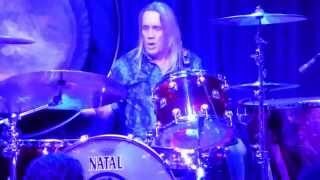 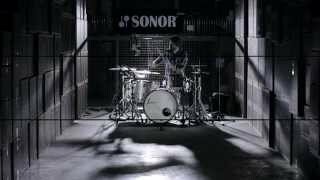 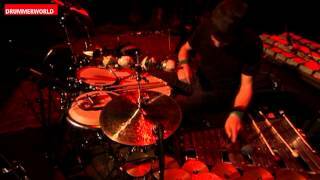 Live, John�s incredible double-bass drum chops truly get a work out. 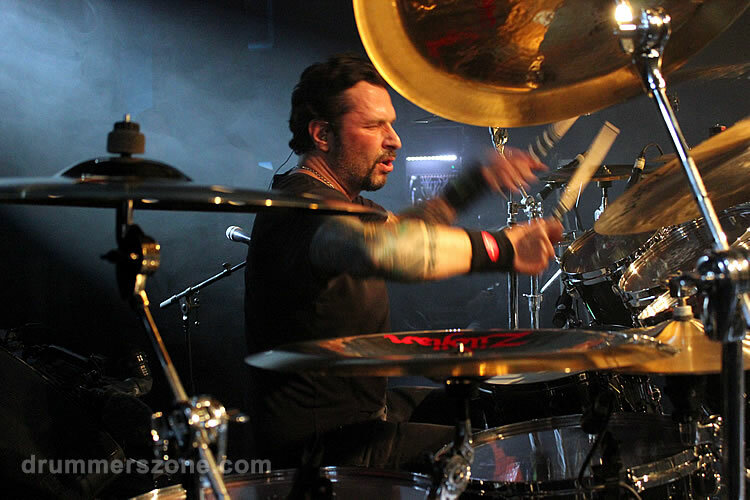 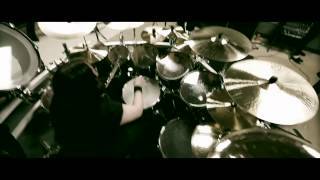 In the midst of his monstrous kit, not only does John replicate the grooves from the CD with incredible power and precision but he also enhances them taking his drumming further and deeper.